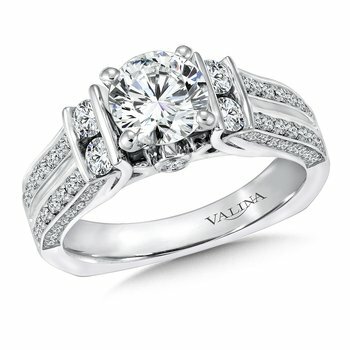 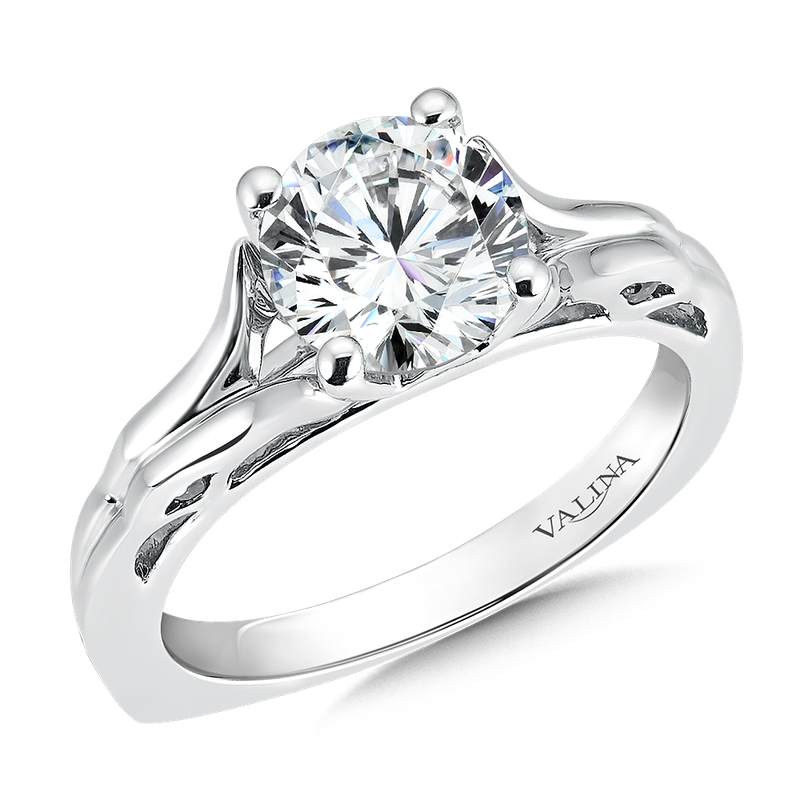 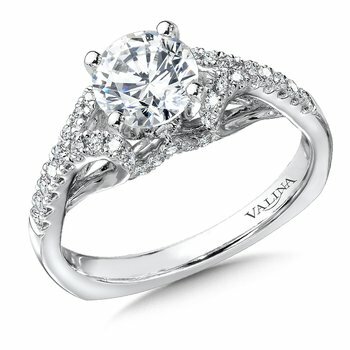 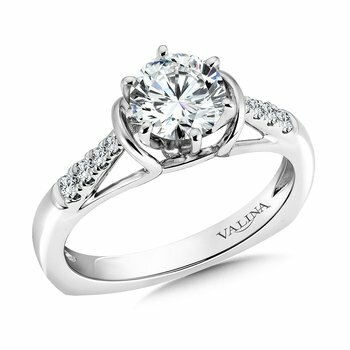 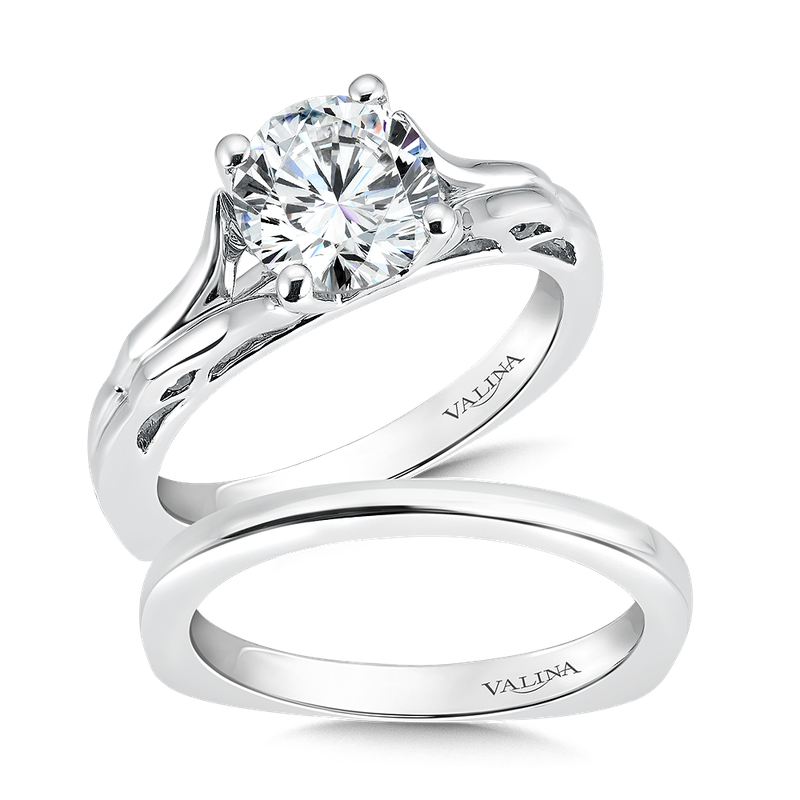 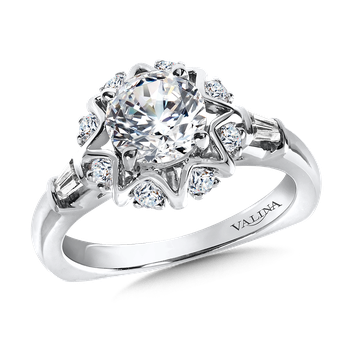 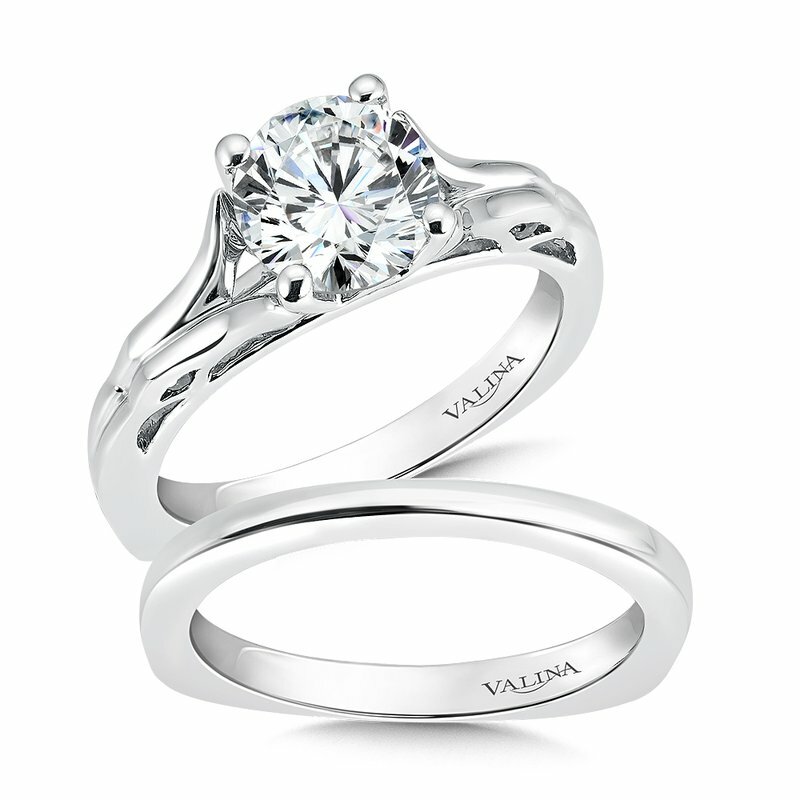 Shop Naser Diamonds: Valina Solitaire mounting .13 ct. 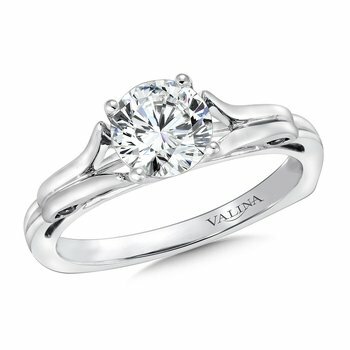 tw., 1 1/2 ct. round center. 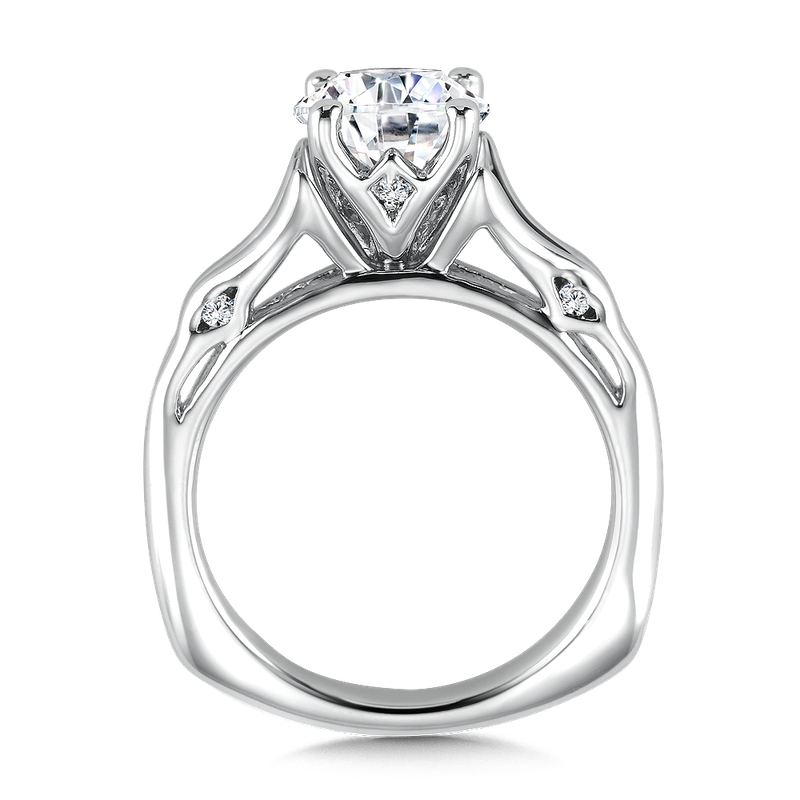 Solitaire mounting .13 ct. 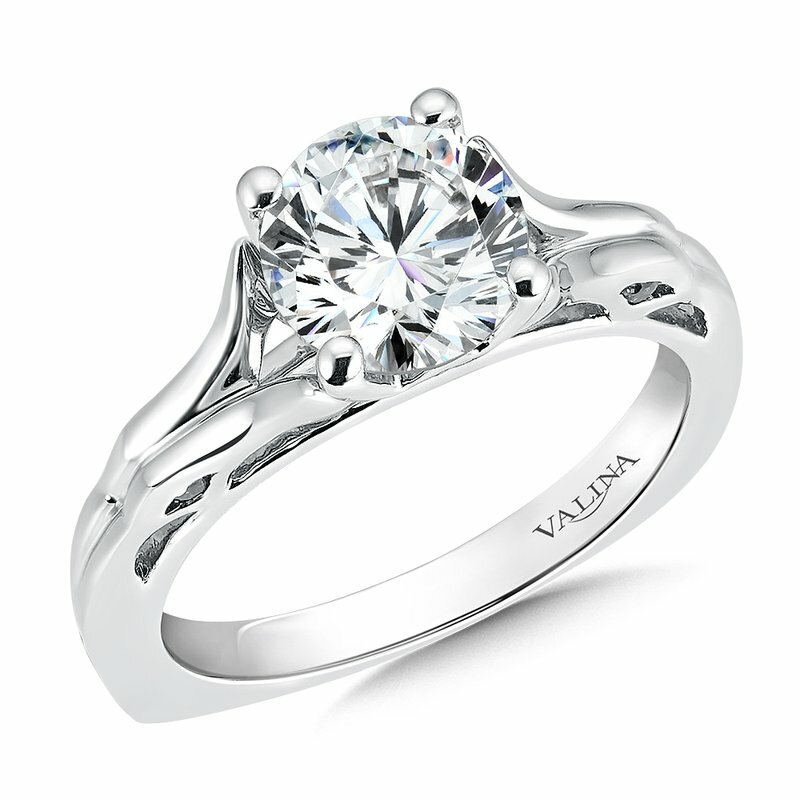 tw., 1 1/2 ct. round center. 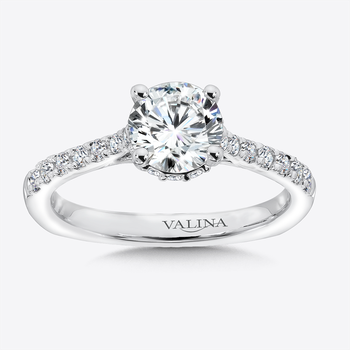 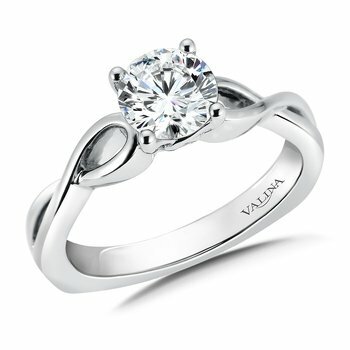 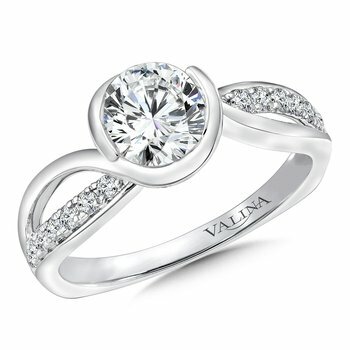 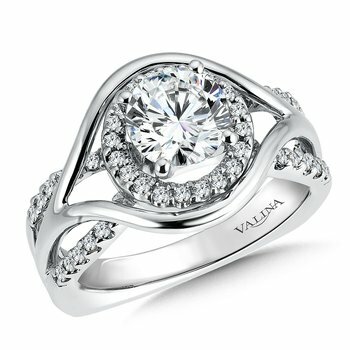 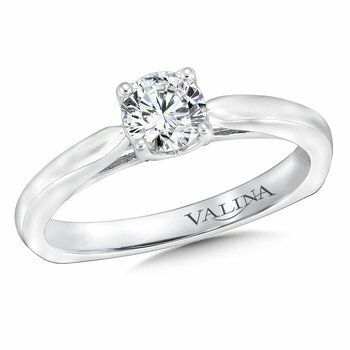 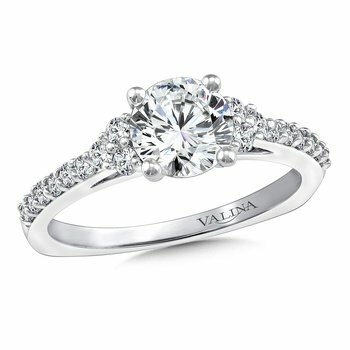 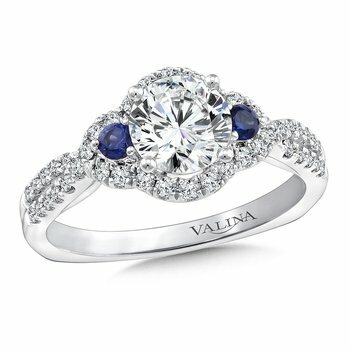 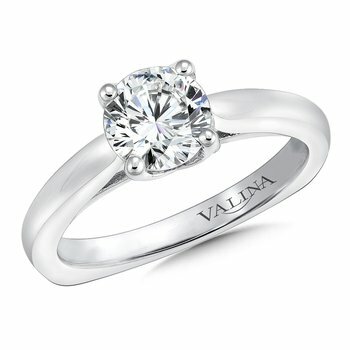 Valina Solitaire mounting .13 ct. 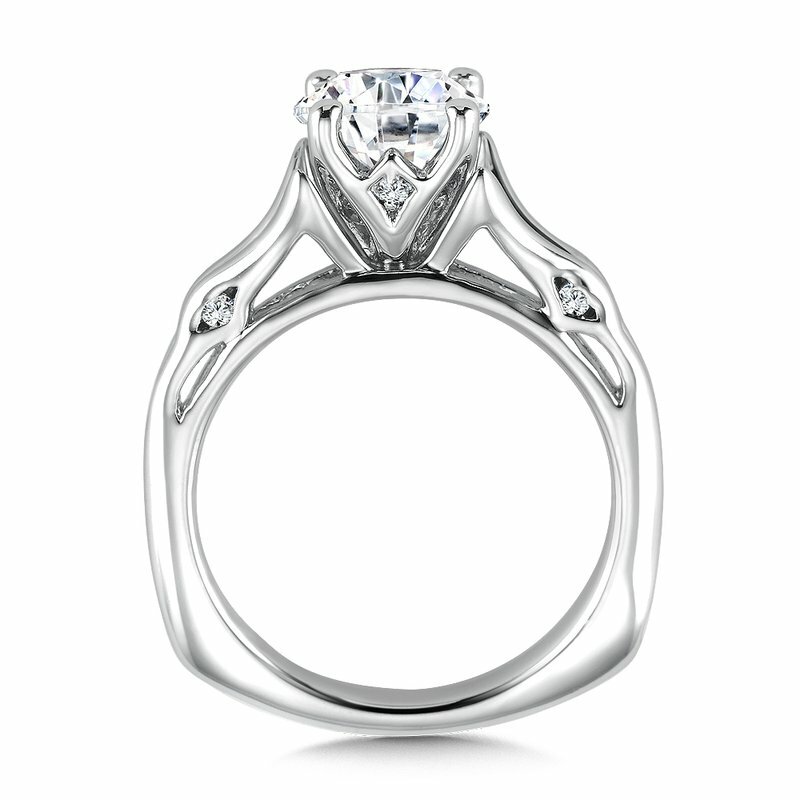 tw., 1 1/2 ct. round center. 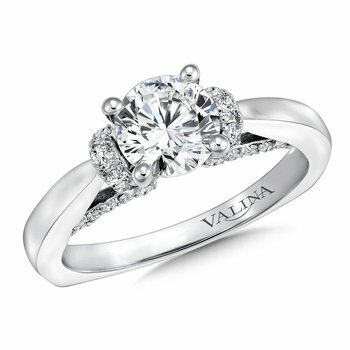 This unique solitaire highlights the center stone. 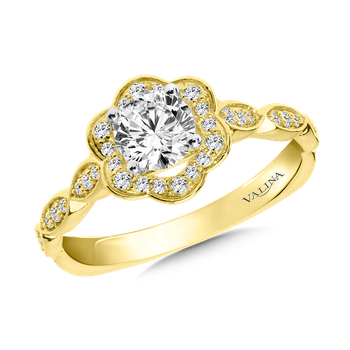 Two burnished diamonds in the profile add sparkle to the fluted, split polished gold design.